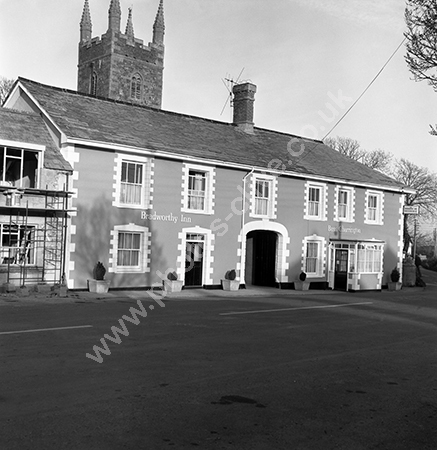 Clive Thompson LRPS Photography: The Bradworthy Inn, The Square Bradworthy around 1973-4. The Bradworthy Inn, The Square Bradworthy around 1973-4. The Bradworthy Inn, The Square, Bradworthy Devon EX22 7TD around 1973-4. For commercial use of this photo, including use on another website, please visit Alamy.com and search for AEE48P. For a one-off print please see below.